Get your morning motivation with a yoga session on the 23rd floor of Deansgate’s Hilton Hotel. Could you be tempted out of bed before the crack of dawn for a yoga class? It may feel like a bit of a stretch for an early morning session in a sweaty studio, but what if you were taking your downward facing dog up to the clouds? Yes, Sunrise Yoga is a thing, and it’s happening every week in the Hilton’s Cloud 23 bar. 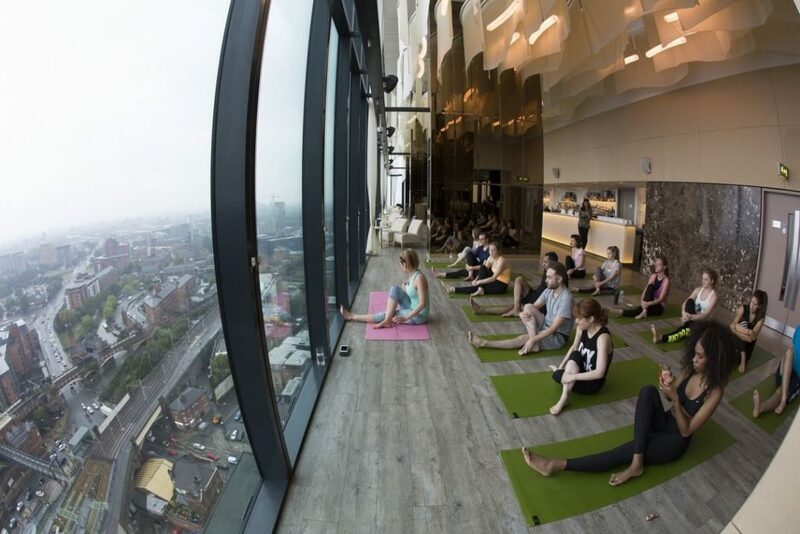 Yogi of all skill levels are invited to greet the morning from the 23rd floor of Manchester Deansgate’s Hilton hotel with a session of Sunrise Yoga In The Clouds. 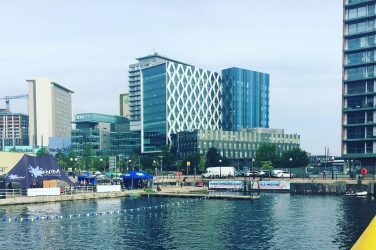 Cloud 23, which is famous for its stunning cocktails and breathtaking views, may seem like an unconventional (if not downright sacrilegious) venue for a yoga session, but it’s the view that has been drawing people to the 7.30am classes for their dose of mid-week motivation. 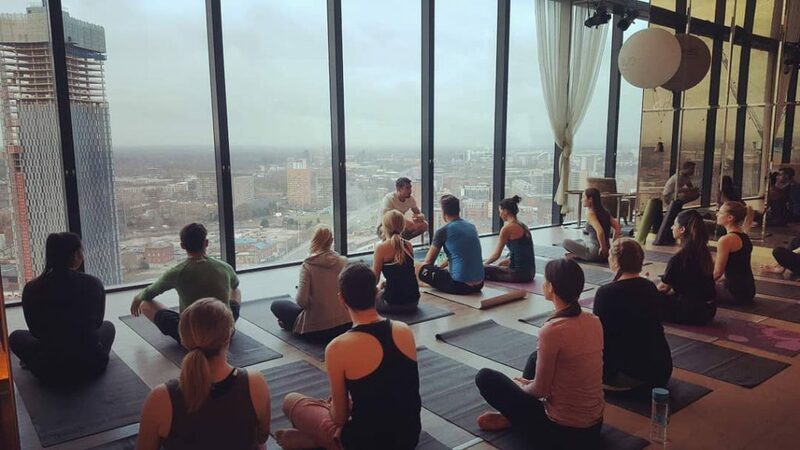 The sessions, delivered by Manchester’s own yoga master Will Mitchell, promise stunning panoramic views of the sunrise over the city and are suitable for all skill levels. And if the yoga doesn’t do it for you, the ticket also includes a coffee, smoothie and granola to fuel you for the day ahead. What better way to get in touch with your inner Zen? Location: 303 Deansgate, M3 4LQ. Nearest tram stop: Shudehill. See it on Google Maps. Price: £15 which includes a yoga session, smoothie, coffee and granola. More information: To book visit the event page.